Travelling by bicycle has been done since the invention of the bicycle around 1817. People cycled in their town, between cities and across countries. The developments in recent years have skyrocketed and it has become fairly easy to travel by bike nowadays. Bicycles are highly developed, accessories are there to make life easy and mapping and route planning can all be done digitally and with a GPS. Still it is a very adventurous way to travel because while riding a bike you will be immersed in a world that is totally unique. Do you have an interest in travel? Do you feel you should be moving slow and reach off the beaten path places to experience more and learn more from your surroundings? Are you looking for a physical challenge? Would you be interested in a deeper cultural connection? Then maybe bicycle touring might be the next big thing for you! 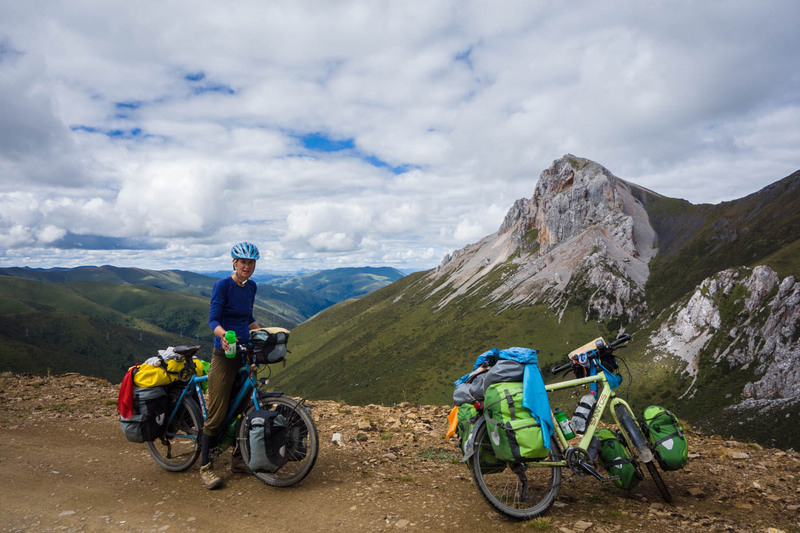 Different women start with bicycle touring because of different reasons. In general these can be summarised into the following top reasons for traveling by bicycle. By traveling by bicycle you power your own transportation. Without a lot of hassle, you can decide where you go, when you go and which route you take to get there. It provides free choice of movement and the possibility of going anywhere where there is as little as a trail. It is cheap (after you have invested in the bicycle), accessible and creates a strong autonomy. 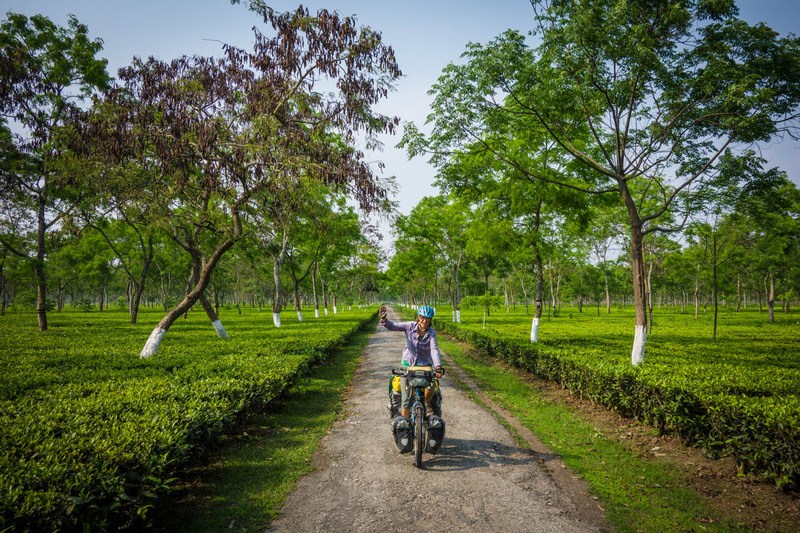 By travelling mostly overland and by being human-powered a bicycle is naturally eco-friendly. It is the best if you can travel from door to door by bicycle and not add to pollution by using other transportation (although many cyclist do fly in and fly out of cycling destinations). When you travel by bicycle you feel like you are alive. It is very natural to live with the sun. Get up when it is rising and go to sleep just after it has set. In many circumstances you are totally at the mercy of the elements, the wind, sun, rain, temperatures, gradients, traffic, resources. It gives a sense of being close to nature. 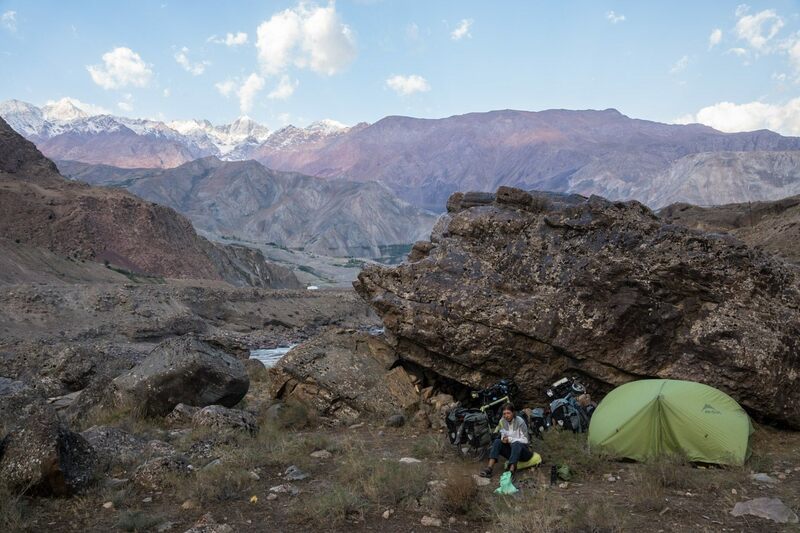 Bicycle travel is often combined with a lifestyle in which it is common to cycle through wild and uninhabited places and to wild camp, make your own food and make camp exactly where you finished cycling that day. The beauty of mountains, jungles, desert and cities is just an armlengte away. You will drink water from a stream and wash yourself in the river. You might eat wild berries and papaya from the tree. You will see numerous animals because they didn’t hear you coming. It is easy to connect with nature when you are out there. Because of being a women you will find you will have access to unique aspects of the culture that you are in. It is possible to be welcomed into homes because of extended trust. you will also be likely to be invited into female only occasions, parties, kitchen rituals, decision making etc. Women will look to you for similarities, sharing, caring and respect and this way you can bond strongly within only a few hours or days. A very intimate part of bicycle travel which you will come across if you travel solo (more often) but also as a couple or with friends. 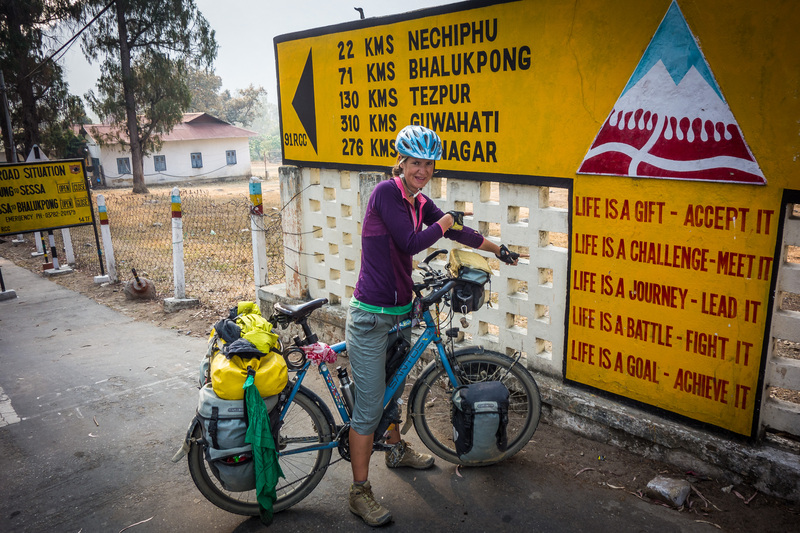 Traveling by bicycle is not hard, it is not for relentless sporters, everyone can do it. Still there is a physical appeal to cycling. You grow stronger, fitter, leaner, your breathing will deepen. After cycling for a couple of weeks you will feel more fit and strong and powerful. You can conquer those hills and mountains and step up the game. If you want to. You can also linger and take it slow. Your body will appreciate food and sleep and will reward you with a happy feeling. Going slowly is what it is all about and on a bicycle you are just going fast enough. The speed makes sure you can take everything in, details from the area you are cycling through. Because you are going slow it is possible for people to stop you, see you, wave at you and invite you into their homes for a tea, local lunch or maybe even to be part of a family feast. It is remarkable how meditative it can be to cycle slowly up a mountain, feeling the rhythm of your legs turning the pedals with every stroke. The importance of being in the moment and enjoying the journey while traveling is what sets bicycle travel apart from all other modes of travel. If this doesn’t make you want to travel by bicycle then I don’t know what will! 🙂 So hop on your bike and get going to discover your surroundings, exotic locations and places that you have been thinking of in your imagination. Great to meet you here at Bicycle Travelling Women. I am Susanne and I am the initiator of this website. 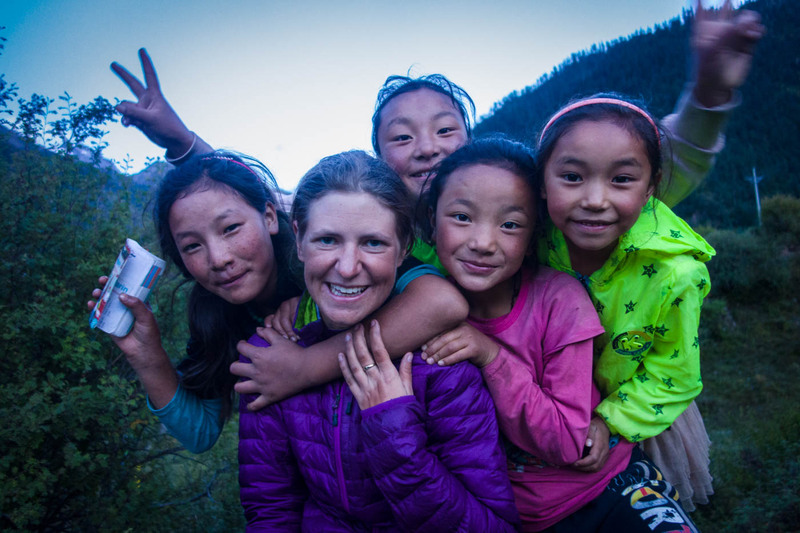 During my cycling travelling journey from the Netherlands to Nepal through remote places such as Tajikistan and Mongolia I felt the need to be in touch with other adventurous women and to motivate and encourage women with dreams and goals who should go out and do it! I hope the articles here encourage you to get outside and jump on your bicycle in search of small and large adventures.